Todd Miller Roofing, Siding & Remodeling is the Greater Lehigh Valleys preferred commercial roofing contractor. With more than 25 years of experience as a commercial roofer, Todd Miller understands the challenges and complexities of installing commercial roofing on your building. With a superior dedication to excellence and a commitment to excellent customer service theres only one name you need to know when for all of your commercial roofing needs in Easton, Allentown, or BethlehemTodd Miller! Call 610-972-8347 or request a free estimate online for commercial roofing services in the Greater Lehigh Valley area. The team at Todd Miller Roofing, Siding & Remodeling can also offer roof installation and replacement for your commercial properties roofing accessories, including roof hatches, grease guards, skylights, smoke vents, drains, and walkways. Maintained properly, your business roof should last between 12 15 years. 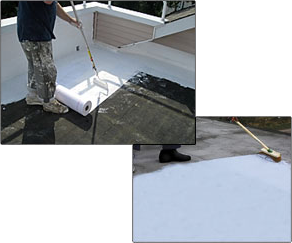 Some types of commercial roofing, like 80+ Mil Fleeceback Adhered roof that drains well can last up to 25 years or more! When you need commercial roofing services, including roof replacement, in Easton, Allentown, or Bethlehem, PA, call Todd Miller Roofing. Ready to get started? Contact Todd Miller Roofing, Siding & Remodeling to request a quote!